We Had This Big Secret In The Family. – Being a COA is a thing! Continuing COAWeek2018 we have a Hugely informative piece from McKenzie Snape on her life growing up with an alcoholic mother. Mckenzie articulates really well how societies and services lack of awareness can further deepen the troubles that COA’s face, this is something we hope to change. Nacoa can offer vital help and support to anyone suffering from a parents drinking. 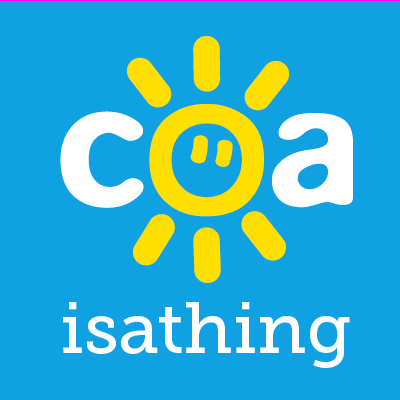 As ever, coaisathing is our platform to share our stories and help other to feel less alone, if you would like to share something then please get in touch. One thing that my mum always drilled into me when I was growing up was that lying was pretty much the worst thing that you could ever do. Ironic, really, being that her life practically revolved around dishonesty. In fact, it was my mother who taught me to lie and encouraged me to do so. We had this big secret in my family. My mum had a drinking problem and under no circumstances was anybody to find out. So, I was encouraged to lie and make up stories and excuses for my mum’s strange behaviour. When I was around 12 years old my mum had left the house one night and checked into a hotel. This hotel just so happened to be located across the street from my school. I was sat in my Science lesson the next day and my headteacher came to the door and asked me to leave the lesson. I was incredibly confused by this because I never got into trouble and couldn’t think why I would need to leave my lesson. He explained that my mum had been on the phone to the school and requested that I was taken over to her hotel room across the road. He obliged, no questions asked, and walked me over. My mum came to the door in her dressing gown, looking very unkempt, stinking of booze, and was very obviously drunk. My headteacher didn’t seem to think much of this and left me there with her. I sat in the room with my mum for about an hour. She was crying, apologising, the usual. I walked back over to school and it was lunch time. I locked myself in the toilets and cried. I couldn’t tell anyone how I felt. The headteacher pulled me into his office and asked if everything was ok. Was my mum drunk? Noooo, of course not. Everything’s fine! He seemed to like this answer – he didn’t question me any further. I couldn’t tell him how I desperately didn’t want to go home. How I had absolutely no idea what would be waiting for me when I got there. Would my mum be in one of her laughing and jokey moods? Would I be in trouble and get shouted at? Would she be crying and saying she wanted to die locked up in her room? I couldn’t tell him any of that. It was a secret. I was dismissed. He didn’t seem to think it was a big deal and he was an adult so I was probably just overreacting, right? On another occasion my mum was extremely intoxicated and told my brother and I she was off out in the car. My brother took my mum’s keys from her and hid them as she was obviously in no fit state to drive. My mum threatened to call the police. We told her to go for it! She was the one trying to break the law – we definitely wouldn’t get in trouble. She went ahead and rang the police and they arrived. I can’t tell you how relieved I was – maybe they would be able to help us. They did arrive. They saw the state that my mum was in. Of course, she lied and said she wasn’t going out in the car. She just wanted her keys back. They promptly told my brother to give my mum her keys back and they left. Just like that. Nobody asked if we were ok. Nobody asked if this was a regular occurrence. They weren’t bothered. Clearly, it wasn’t a big deal. We felt like we were in trouble. We were obviously just overreacting. I was sworn to secrecy. I loved my mum dearly – I didn’t want to do anything that would get her into trouble. I didn’t want her to lose her reputation. I didn’t want anyone to think any less of her. So I kept our secret and I made excuses and I lied. I never felt that there was anywhere I could go or anything that could be done. Nobody else seemed to think that this behaviour was abnormal. So surely it was just me with the problem. I learned to blame myself. But these people had no idea what went on at home. They didn’t have to get her out of bed and change the sheets because she had wet herself. They didn’t have to try and get her into the bath because she was incapable of washing herself. They didn’t sit and listen to her talk about her plans to take her own life. They weren’t shouted at over completely trivial things. They didn’t have to go and hide to cry because they were either told off or laughed at if they got upset. It wasn’t normal. I know that now. A parent’s drinking doesn’t only take your childhood from you – it completely changes you as a person. Everyone’s affected in different ways and everyone’s story is completely different. I just can’t help but wonder how differently I may feel now if there had been someone for me to talk to when I was younger. Someone who had encouraged me to talk, listened to me and assured me that, actually, no it wasn’t normal and it wasn’t my fault. Someone who wouldn’t dismiss me or make me feel that I was wrong. It is so important for us to make sure that people know that they will be listened to and heard. That they won’t be dismissed. That they won’t be judged. That they won’t be in trouble for telling the secret. That is why the work that Nacoa does is so valuable. It has taken a lot of guts for me to write this but in doing so, if I can reach just one person to let them know that they aren’t alone then it’s worth it for me. Previous Post Nothing Will Ever Take Away The Love I Have For My Mum. Next Post Fighting The Demons That I Am Left With. Yet again, so many similarities. The secrets, the embarrassment, the unpredictability and the invisibility. Heartbreaking. My life was affected too. I like to think at least positively in some small ways. Mainly negatively.